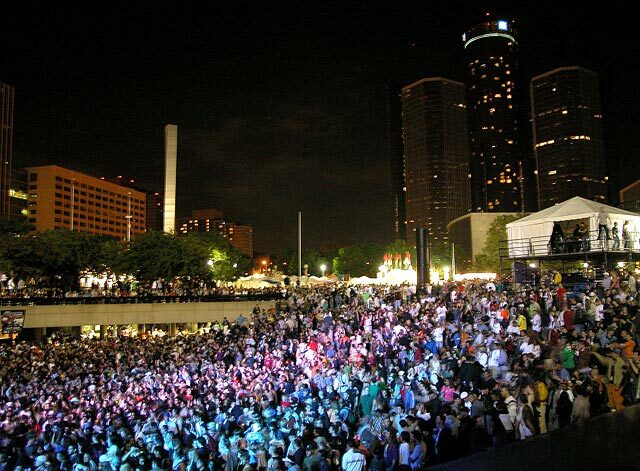 The Detroit Electronic Music Festival is held yearly on Memorial Day Weekend at downtown Detroit's Hart Plaza. Held under a variety of names the three day festival is still referred to as the DEMF by locals and features home grown Detroit artists as well as a national and international cast of DJ's. Click here to travel back in time to visit past DEMF events.